While irrational figures abound in politics, today we recognize the most irrational figure of all: the number pi. 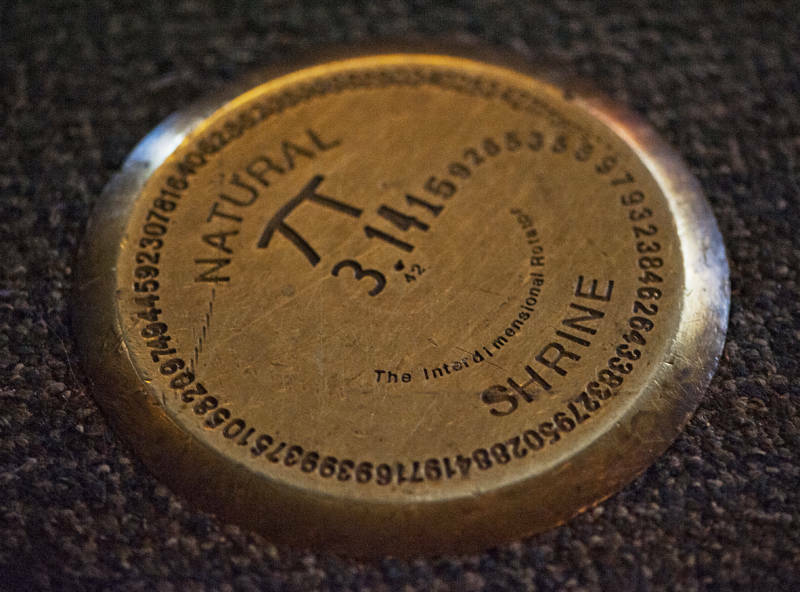 On March 14, or 3-14, more than half of Americans plan to celebrate International Pi Day, a holiday conceived and launched by the Exploratorium to celebrate the wonders of this mathematical figure, denoted by the number 3.14. The former purview of science and math geeks, pi has become a pop culture phenomenon, now entering its 30th anniversary in the U.S. Still, nearly two in five Americans still don't know what pi is. So here's a primer on this endlessly inventive number. Symbolized by the Greek letter “π,” pi represents a number that begins 3.14159265358979323 and goes on and on without end. π is the ratio of a circle's circumference to it's diameter — a formula that 66 percent percent of Americans guessed correctly in a recent poll conducted by PR Hacker. Any circular object, no matter how big or small, will yield this ratio, making it a useful number across disciplines, including engineering, mathematics, and physics. The reason mathematicians call pi an approximation — and what makes this number so fascinating — is because pi continues infinitely. The numbers past the decimal go on forever, without repetition or any discernible pattern, meaning that the probability of each digit occurring in the series appears to be independent of what digits came just before it. The apparent randomness of pi means that it contains every finite numerical sequence imaginable. So your social security number, or any sequence of digits you can think of, will at some point appear within pi's numerical string. The nifty website Pi Searcher allows visitors to search the digits of pi for specific integer sequences. India's Rajveer Meena currently holds the world record for memorizing 70,000 digits of pi. It took nearly ten hours for Meena to recite the digits. 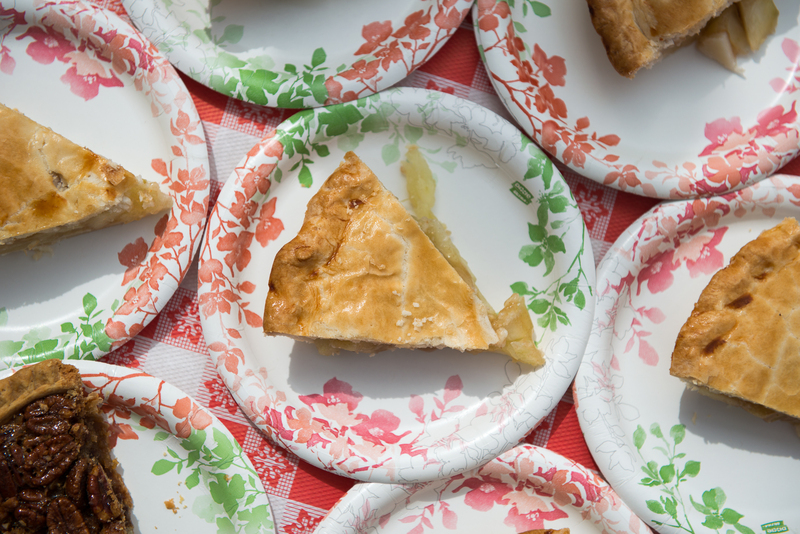 Of Americans who plan on celebrating pi today, 43 percent said they will have pie or pi-themed food -- obviously. Here in the Bay Area, the birthplace of Pi Day, public events are commemorating the holiday. 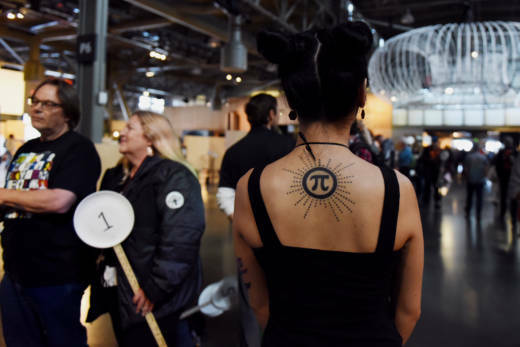 At the holiday's birthplace, Pier 15 in San Francisco, the Exploratorium is hosting an annual pi parade in which each person holds a digit of pi. Head down around 1:30 p.m. to grab your favorite digit for the procession, which begins, guess why, at 1:59. After the procession, the museum will be handing out free pie. The museum also partnered with the Golden State Warriors this year to celebrate the holiday, which coincides with player Stephen Curry’s birthday. "As spherical objects, basketballs provide a phenomenal opportunity to contemplate the concept of pi," said Exploratorium executive director Chris Flink, "and engaging with basketball stats can be a delightful entrance into the world of math and probability." East Bay students in elementary through high school are celebrating pi by competing in a "counting contest." Participating students will attempt to recite pi from memory before a panel of STEM mentors; retired NASA engineers and video game coders will be at the school to lead the students in other games illustrating irrational numbers. We're guessing the prize was... never mind.